Syria's strongest and long time ally is asserting that a government defeat by rebel forces is becoming more and more likely. As the violence in Syria continues to escalate and amid mounting concerns that the Syrian government is getting ready to use chemical weapons on its own people, a top Russian official is asserting that Syrian President Bashar al-Assad's days are numbered, an unusual statement coming from one of Assad's long time allies. Deputy Foreign Minister Mikhail Bogdanov, Russia’s top envoy for Syria, told Russia's Public Chamber on Thursday, as quoted by the New York Times, that recent events in Syria show that the government's grip on the fighting is slipping and that the rebels stand a real chance of defeating Assad. “We must look squarely at the facts, and the trend now suggests that the regime and the government in Syria are losing more and more control and more and more territory,” he said. Bogdanov also said that Russia is planning on evacuating its citizens from Syria, marking the first time that evacuation plans have been announced from such a high level official, a clear message that Russia has profound doubts that Assad will ever regain control of the country. Moreover, despite his country's support of Assad, Bogdanov ascertained that half of the Russian citizens living in Syria held anti-government sentiments and supported the rebels. Bogdanov added that an influx of weapons by third-party government has led to the strengthening of rebel groups, which has also led to an increase in violence. 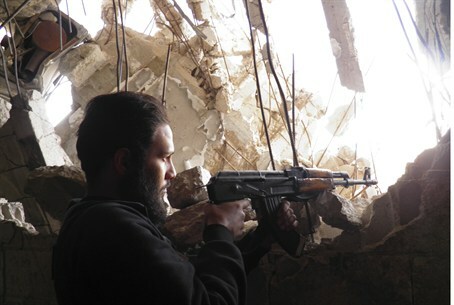 “Massive supply of modern armaments have pushed the Syrian rebels to stake their hopes on force,” said Bogdaniov, which is leading to “an acceleration of the spiral of violence." From the start, Russia has been very involved in the international debate over how to handle the situation in Syria. Moscow strongly opposes any Western-led intervention and until recently has ignored pressure from the West calling on Russia to use its influence to persuade Assad to step down and end the violence. Last week, during a meeting with U.S. Secretary of State Hillary Clinton and U.N. special envoy to Syria, Russia agreed to support the creation of a transitional government, which further supports the notion that Russia is beginning to foresee a definite end to Assad's power.